Should I Get My Boss a Gift for Christmas? Gift-giving should be an authentic expression of kindness, without expecting reciprocity or currying favor. Some organizations specifically prohibit gift giving from an employee to their manager to prevent claims of favoritism or jealousy. After all, if one of your colleagues got your boss a Bose headset, what would everyone else think? And in today’s environment concerning allegations of sexual impropriety, I suspect more companies will be adopting this type of policy to eliminate any perception of preferential treatment, bribery or coercion. If you’re unsure of protocol, consider checking with your colleagues on what’s typically done in your office. If your boss is universally liked, you might want to suggest everyone throwing in a modest contribution for a holiday gift rather than going it alone. Be sensitive to the reason and the season: Gift-giving is personal, and it’ll be very awkward if you discover that this person celebrates a different religious holiday, or none at all. Be modest: Gifts that scream “expensive and ostentatious” really are tantamount to bribes. 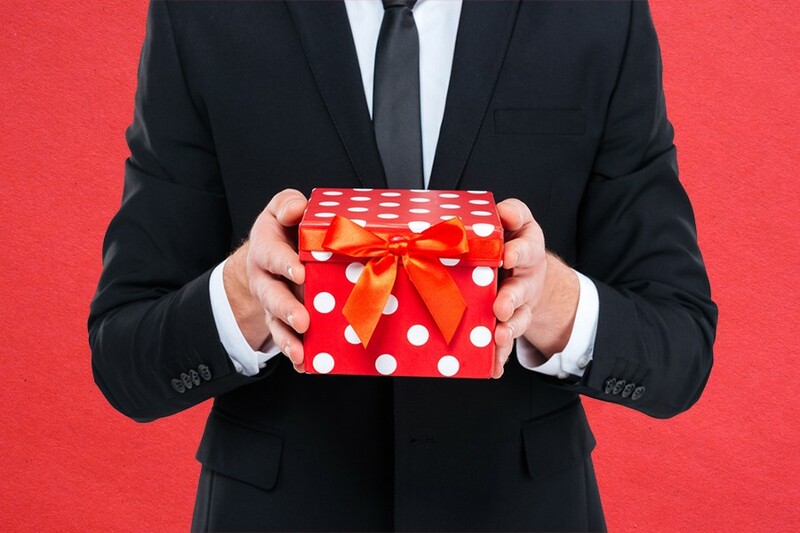 Be discreet: You should exchange the gift with your boss in private. This makes the gift more personal; it also prevents embarrassing or shaming colleagues who aren’t planning to do the same. Be thoughtful: Personalize the present so that it it’s more than a perfunctory choice. Examples of office gifts that are appropriate and thoughtful include coffee mugs with clever sayings that reflect the recipient (stay away, however, from risqué quotes or double entendres); books that reflect hobbies or interests; and movie tickets for an upcoming film they’ve been talking about. Stay away from clothing (too personal); coffee gift cards (too boring); or salacious board games (Cards Against Humanity). One final alternative to consider is a contribution to your boss’s favorite (non-political) cause in their name. Recognizing their passion for the arts, education, health or wildlife with a simple act of generosity during the holiday season will remind you (and them) of the true spirit of gift-giving. It’s also the ultimate answer to your question.